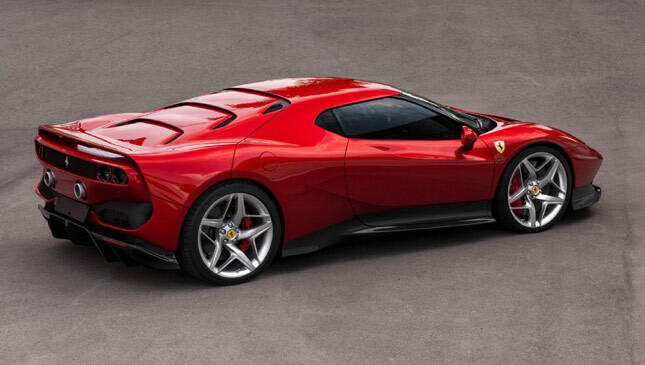 Welcome to the latest one-off Ferrari. 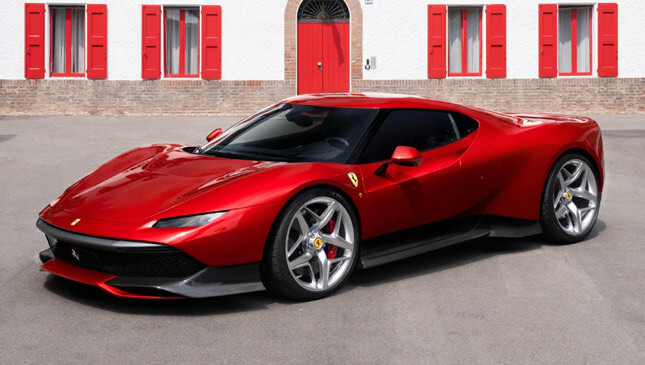 The SP38--which uses the chassis and running-gear from a 488 GTB--was built for "one of Ferrari's most dedicated customers" who has a "deep passion for racing." 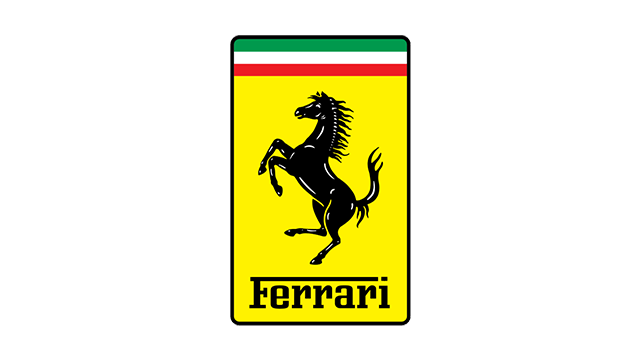 The project’s "general direction" was therefore influenced by another twin-turbocharged Ferrari, the F40--whose influence Ferrari says can be seen in the rear wing and engine cover. The former "creates a suggestive frame surrounding the tail volume," and the latter is a clamshell-type arrangement in carbon fiber. 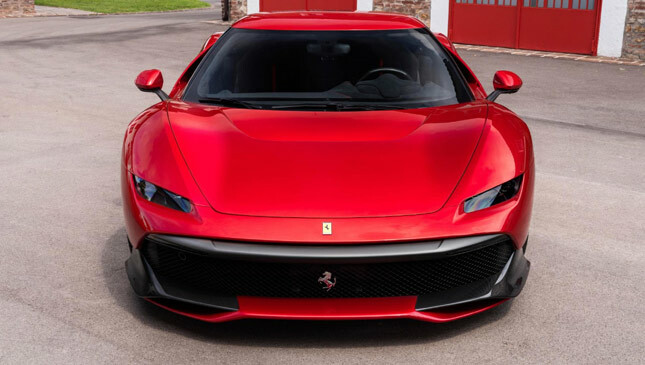 The slimline front bumper, meanwhile, harks back to the 308 GTB, and we're promised the "strongly tapered nose" and "muscular wheelarches" give the SP38 "potency and agility." We quite like it. We don't know whether the new bodywork has had any effect on performance. 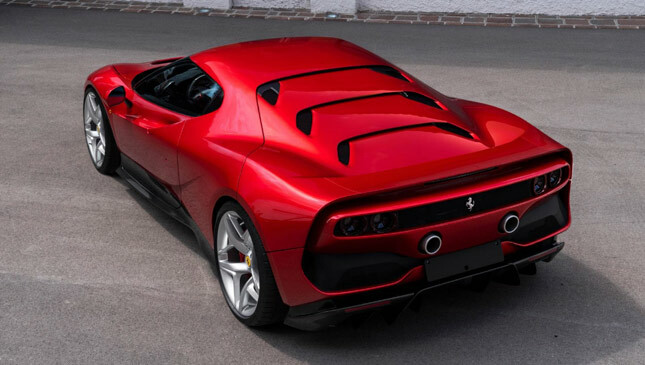 But seeing as a regular 488 does 0-100kph in three seconds flat and runs on to 330kph thanks to its 3.9-liter, twin-turbo, 661hp V8 and seven-speed DCT, the SP38 ought not to be slow. 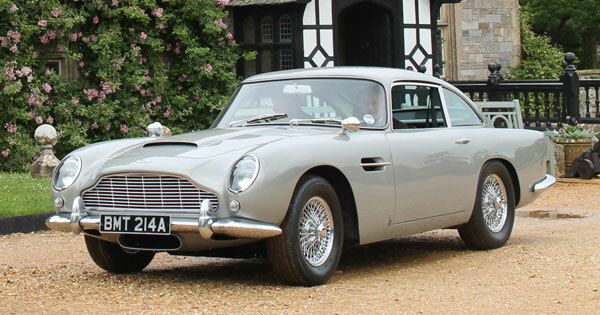 It's on display at this weekend's Concorso d'Eleganza Villa d'Este in Italy.